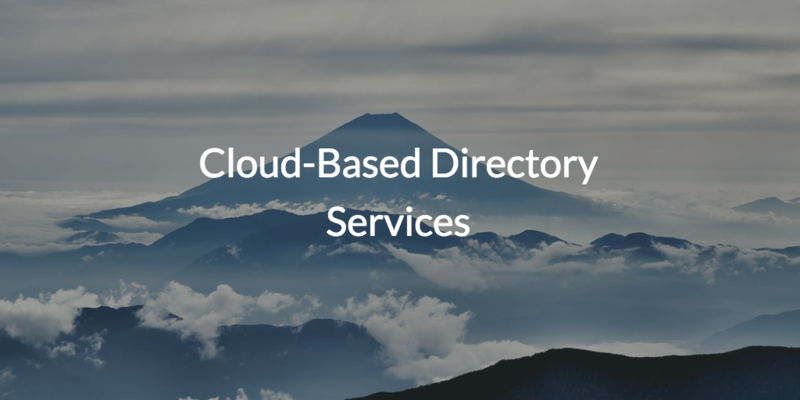 Cloud-based directory services have drawn a lot of attention in recent years. The thought of a universal identity management solution that doesn’t require anything on-prem is certainly part of the appeal. Why is this approach advantageous? Let’s take a look at the development of traditional directory services to find out. Historically, Microsoft® Active Directory® (AD) has been the go-to directory services platform in most IT organizations. Introduced in 1999, AD was built to help IT administer Windows® users and IT resources such as systems and applications. At the time, Windows-based IT resources made up the vast majority of enterprise networks and everything was on-prem. As a result, most IT administrators simply implemented AD and they could effectively manage all of the IT resources in their environment. The IT landscape started to evolve as a wide variety of non-Windows IT resources gained popularity in the workplace. For example, Mac® and Linux® systems disrupted Microsoft’s monopoly in the enterprise system market. Then came web applications like Google Apps (now called G Suite™), which offered cloud-based alternatives for on-prem, Windows-based applications. Yet, perhaps the most significant change was the shift to cloud infrastructure providers such as AWS®, which enabled IT to shift their entire on-prem data center to the cloud. Non-Windows IT resources such as these were difficult to manage directly with AD. Initially, this meant that IT admins had to manage non-Windows IT resources independently, if at all. This granular approach to managing users and their access to IT resources was a major headache for IT admins, not to mention it introduced a number of security risks. Fortunately, though, the IT landscape continued to evolve. The next step in the evolution of directory services was the emergence of a variety of directory extension solutions. Solutions such as these were generally layered on top of AD, and served to federate on-prem AD identities to non-Windows systems such as Mac and Linux. Then came single sign-on (SSO) solutions for web applications, privileged account management, password managers, MFA, and more. Each of these solutions could extend AD identities to the resources they were designed to support. 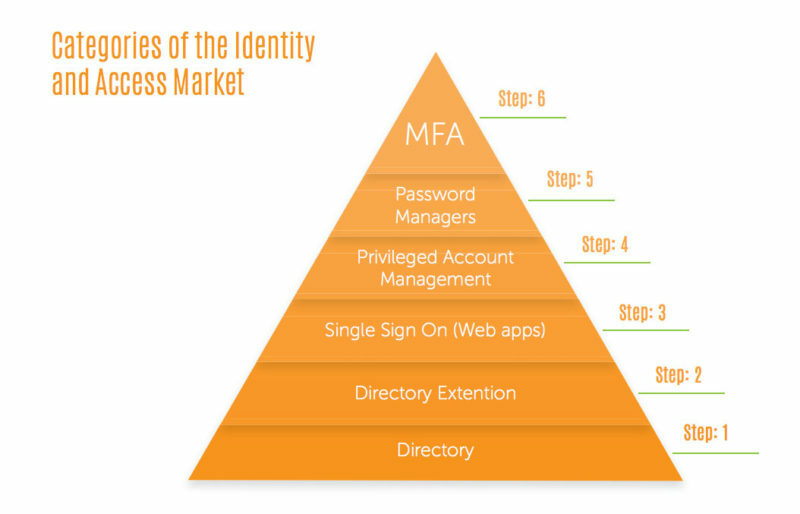 In doing so, IT admins could continue to leverage AD identities, but this time to manage use access to a wider range of IT resources. The trouble with this approach is that IT organizations typically end up with an antiquated on-prem directory services platform implementation and a laundry list of costly add-on solutions. Obviously, this method is far from ideal from a cost and efficiency perspective alone. Yet, IT admins have been stuck with this approach for years now. The good news is that all of the years of strife have not been in vain. This is because it was these challenges that paved the way for a new solution that is effectively One Directory to Rule them All®. It’s called JumpCloud® Directory-as-a-Service®, and it is the first cloud-based directory services platform that can provide centralized identity and access management (IAM) for virtually any IT resource without anything on-prem. Check out the following whiteboard presentation if you would like to learn more about cloud-based directory services. You can also sign up for a free account and explore the full functionality of our cloud-based directory services platform at no cost. Your first ten users are free forever! Of course, don’t hesitate to contact JumpCloud to answer any questions.